Harold Henry Beverage was a pioneer of radio engineering, particularly of antennas and trans-oceanic transmission. The Beverage antenna was the first wave antenna. As a GE and RCA engineer Beverage developed more than 40 patents and received several professional honors. 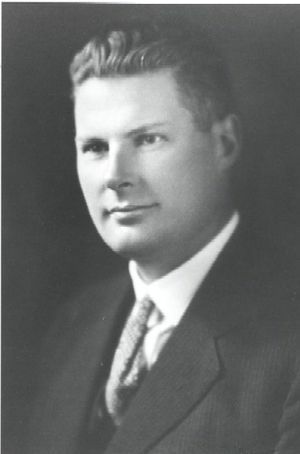 He graduated from the University of Maine in 1915 and was hired by GE, headed trans-oceanic radio development for RCA in 1920, and eventually became a vice president of research and development. Beverage worked as a communications consultant to the U.S. military during World War II and helped set up radio links for D-day. Beverage observed the radio field from its beginnings until his death in 1993 at age 99. This 1992 interview covers Beverage's beginnings as an electrical hobbyist, training as an early electrical engineer, and his professional career as researcher and administrator. He was a peer of the top radio innovators of the day and told stories about a variety of personalities. Also available is an earlier oral history with Harold Beverage and H.O. Peterson. Interview # 138 for the IEEE History Center, The Institute of Electrical and Electronics Engineers, Inc.
Harold Beverage, an oral history conducted in 1992 by Frederik Nebeker, IEEE History Center, Hoboken, NJ, USA. This is the 16th of March 1992. I'm talking with Dr. Harold Beverage at his home in Stony Brook. This is Rik Nebeker. To start at the beginning, you were born in 1893 on North Haven? Yes, on an island off the coast of Maine, the island of North Haven, about 14 miles off sea from Rockland, Maine, on a farm. I know you weren't especially fond of farm work. I found farm work rather dull — raking hay, digging potatoes, and all that sort of thing; it was kind of tiresome. On the island there were about 65 telephones. And if any problem with the telephones, they had to send a man from Rockland on the steam boat. They had to hire a team to get out to wherever the trouble was, repair the trouble, and then they'd go back and wait for the afternoon boat — the last boat — to get back to Rockland. So I figured that cost probably all told about $100 to replace a fuse that took them five seconds. So when I was 14 years old, I applied for the job as troubleshooter for the Telephone Company. That was your own initiative? It wasn't a job they'd had on that island before? I was always interested in the telephone. I used to sort of hang around the telephone repair center in Rockland. One of them got the bright idea that maybe I could help in the maintaining of the telephones over on North Haven. So we went up and saw the manager. I remember it was a lady manager of the Rockland Telephone Center. She looked me over, asked a few questions, and she said, "You're hired." So I was hired at 20 cents an hour. Not only that, but they sold me an old motorcycle for 20 bucks to get around with. It was the first one and the only one on the island, and it scared the devil out of the horses. [Laughter] There weren't any cars on the island? No cars on the island at that time. I was the first motor vehicle to come to the island. Oh, there was a millionaire that had a car, had an automobile, yes. Herzog had an automobile. But I was the first motorcycle to come to the island. Did you tinker with electrical things yourself at an early age? Yes, I made a hand receiver and a spark-over transmitter. It had a range of 50 miles, as I recall. That was about all. It was just a 1-inch spark coil. Do you remember how old you were when you first built a radio? I was about ten years old. I had a pretty good antenna. It was 60 feet high and 100 feet long. I used to hear very strong signals from the ships bound for Europe. They'd pass by 30 or 40 miles away. You were good at understanding Morse Code? How did you become interested in radio? How did you get that magazine in the first place? Well, I found this magazine put out by Hugo — I forget the last name. Anyway, it was a magazine put out for amateurs. So I used to study that. Was your father interested in these things or anyone else on North Haven? Well, my father was formerly a teacher, and I read his physics book from cover to cover. But I got most of my information from this magazine, Modern Electrics. I see. And you went to high school, I know, on North Haven. So did you know from an early age that that was what you wanted to do, to be an engineer? Oh, yes. I was always interested in Marconi and all his early work. Like his 1901 getting the signal across the ocean. Proving his long-distance work. Did you ever pick up any of the Marconi stations yourself in those early years? Oh, yes! Marconi stations and the Navy. Every night I could pick up NAX — South Palomar, Navy. Yes, I think I could pick up signals from England. Yes. I had a good antenna and homemade receiver with a basic galena as a detector. All handmade except I had to get some striated plates. I remember my grandmother; there were only three Democrats on the island, and she was one of them. [Chuckling] She was interested in the first Mrs. Wilson. One time I got the news that the first Mrs. Wilson had died. I told my grandmother that, and she said, "You couldn't possibly know that." She didn't believe it. When it came out in the news the next day and proved that I was right, I got my first medal of honor: a five-dollar gold piece. [Chuckling] As I said, I was always happy when my mother would come and tell me, "The wire chief's calling." I could stop digging potatoes. So after high school you wanted to go to college in order to train for work? Oh, yes. Yes, indeed. I went to the University of Maine. I took the course in electronics — that was part of it. So they had a program in electrical engineering at that time? I know that until later, electrical engineering was largely power engineering — the education one would get. Do you remember how many students there were in electrical engineering in your day at the University of Maine? Well, I would say around 40. Quite a few. Well, I wasn't doing too good in calculus because the calculus class was at eight o'clock in the morning, and I was half asleep. [Chuckling] So one day — I wasn't even doing too well. I was just about getting by. One day the professor set up a mathematics thing to solve and bring into class the next day. As I say, I was sleeping and couldn't quite remember how he said to do it. So I did it my own way. It turned out that he'd never seen that particular solution. He put it on the board, and he brought in all the other mathematicians and showed it to them. They agreed it was correct and a new way they'd never seen. My grade jumped from D to A. [Laughter] But apparently I'd invented a new way. So I assume you took physics also as part of the EE curriculum? I know you had an amateur radio station there. I had a ham radio station with a 1-inch spark coil and some old cast-off batteries that I got from the boat shop. It only had a range of about 20 miles. Was it there at the University of Maine that you received those signals from the "Titanic," or was that before you went to the university? Let me think about that.... I was at the University of Maine, yes. I first copied the messages from the "Titanic" and went to bed. The next morning I put on the phones, and I was very surprised to hear that it had sunk. Yes, I heard that. So you heard that on a news broadcast the next morning? Oh, I see. So you just heard some of the radio communications between ships? Oh, yes. And also all the newspaper people were anxious to get news, and they were jamming each other. Nobody was getting through. So they attracted a young man who was an operator of Wanamaker's. His name was David Sarnoff. He was the only one who was allowed to transfer to the ship and get a little information. He worked 24 hours without sleep or eating. He got famous. I'm wondering, in 1912 was it possible on a wireless to get, you know, regular information news? Oh, sure. The regular news service every day in Boston sent out news that I could copy. So that was a daily thing, that you would listen to that and — ? Yes, I listened to the news from Boston. Yes. I see. Was that sent out for the benefit of amateurs? It was broadcast to ships really. I see, mainly to ships. Yes, I used to copy the news everyday. How would you evaluate your education at University of Maine? Did it do a good job of preparing you for your later work? It was good. Except in some questions involved in wireless the professor wasn't too familiar with and deferred to me. Do you remember how many professors of electrical engineering there were? One professor and one instructor or a technician. That's right. Thirty-two dollars a week. [Chuckling] I had that choice. The other choice was the General Electric Test Course which was $11 a week. I was tempted to take the Loew's job and toot on the trombone in the afternoon and evenings. Then during the day I could take some additional courses in New York. Oh, that would have been in New York? New York City? Yes, at Columbia. I considered tooting on trombone afternoons and evenings and taking courses at Columbia early in the afternoon. I decided that I might fall asleep with both jobs. [Chuckling] At the University of Maine, I think it was about six miles from Bangor, and Bangor had one little theater called the Bijou. There was lots of vaudeville. Well, I'm getting ahead of myself. The regular trombonist in the theater orchestra wanted his weekends off, so they hired me to toot on Saturdays and Sundays. It was each act brought their own music, and a lot of it was handwritten and looked like a hen had walked across it. [Chuckling] It was very hard to figure out the right notes. But one night there were a lot of actors on, and one of the actors came to the front of the stage: "Give us a chord, professor." My music was marked FFF, which meant very, very, very loud. And boy! I hit it that way, too. You could hear it ten miles away. [Chuckling] It was the most awful discord I ever heard. I thought, My gosh, I blew it. I blew it. I'll never play here again. Just pack up my trombone and get out. Then I looked around; the audience was laughing. I recognized that was intentional. But that scared me awful. [Laughter] It wasn't too easy playing in vaudeville because, as I said, the notes were awfully hastily written. You'd have to do a little figuring what they were. That was Bangor, Theater Bijou. So I could play there on weekends. The regular trombonist wanted his time off weekends. So it was a good deal for both of us. Why were you interested in Columbia University as a place to take courses? You knew of the electrical engineering department there? Yes, I knew a few from there, some of the professors. I had a cousin who was the organist in the chapel there. I used to go and visit him every once in a while. He just died recently, but he was a regular Toscanini. He loved that music, and he was a great organist. He had a look on his face of joy with this wonderful music, and he reminded me of Toscanini addressing his symphony orchestra. He had the same expression. Music just made him feel good. So you chose the job with General Electric? Was that immediately after your graduation? Was that enough to live on then? Yes, just about. Paid for a boarding-house and your meals. How was that for you, moving from the University of Maine to Schenectady? Oh, that was all right. They had a boarding-house in Schenectady. How did you like the work that year you were in that department? Oh, it was very interesting. But I heard about Alexanderson and the Alexanderson alternator. After I'd run my test courses, getting things running — why, I applied to Alexanderson as an expert on receivers. He, of course, developed the famous Alexanderson high-frequency alternator, and he didn't have anybody working on receivers. So I applied for that job. Did you go to him personally? Yes. I went to him personally and told him I was an expert on receivers. No. I'd heard about him; I hadn't met him really. I went and applied for the job for receivers. So he hired me. Right away. Because he had people on the transmitters and the antennas and the alternators and stuff, but nobody on receivers. How many people were working for him at that time? I would say about five people. Yes. They were all working on the Alexanderson transmitter and the antennas and stuff. I was the only one working on receivers. And that's what you did from the beginning with Alexanderson? Right away. When I got off of the test course, I went to work for Alexanderson. Alexanderson was quite an absent-minded guy; he was thinking all the time. I remember riding on the train coming up from Boston, and the conductor says, "Tickets, please." I handed him my ticket, and Alexanderson didn't really answer. So the conductor says, "Tickets, please." He says, "Well, what ticket?" "The ticket for your train ride." And then he couldn't find it. He looked on the floor. He'd torn it all up [Chuckling] as we were talking. He was a very absent-minded man. He was always thinking about something. Can you tell me a little bit about how his group worked there at Schenectady? Was it closely under his supervision, or were they more — ? Well, the test course, of course, was just testing things. That was under one director. And Alexanderson's group were under his direction entirely. He had a man on the alternators. And we had transmitting antennas. But would he give you a specific assignment and then check with you a couple of times during the day to see how you were doing? Well, he was bubbling with ideas. He was a famous inventor. His alternator was the basis of RCA Communications when they started up. So at that time most of his group was working on improving the alternator, making it more powerful? He invented the multiple-tuned antenna and increased the efficiency quite good. So in New Brunswick where the first alternators were installed, it had a flat-top Marconi antenna existed there. It was about a mile long, and he got it down to a tower. He put down the tuning. That saved a lot of ground losses. It was a very efficient antenna. And it was the strongest signal in the United States. It was stronger than the Navy's Arlington Station, the NAA. The Navy took over the New Brunswick Station, and they were the ones that established communications between Washington and the forces in France. Right. Did you get an impression when you were working with Alexanderson at G.E., if he was given as much support as he wanted from General Electric? Oh, yes. It was developing a 200-kilowatt alternator. It was a major thing; it cost a lot of money. To the extent that Alexanderson asked? I invented the receiving antenna, the groundwave, the long waves laid on the ground. They were unidirectional, and nobody knew why. Others — the Navy — had used the ground waves, too. So I took a big heavy receiver down the line and broke into some wires to see how the signals built up as it went towards the north and the static went down. Then going the other way, the signal went down and the static came up. Well, I discovered that the reason that that antenna wire laying on the ground was unidirectional was the high losses. So that the static had built up to the northeast end and never got back down to the southwest end into the receiver. It was unidirectional just simply because of the losses of the wire laying on the ground. The idea then was we put stuff on wires at the northeast end. There was a resistor equal to the impedance of the antenna to make it unidirectional. You had but one wire I think. You made that invention when you were installing the receiver at Otter Cliffs? Otter Cliffs, yes. I found out why the antenna was unidirectional. That gave me the idea of grounding the northeast end through what you call the surge resistance. Is this something you immediately discussed with Alexanderson? Yes. He understood it all right. As I say, he was a very imaginative person, but absent-minded. I'd be talking to him, and all of a sudden he'd switch into Swedish. Did he immediately recognize that you'd made an important discovery? Yes. He supported me in all my work. He was interested in it. He was a good man to work for. Except he was absent-minded; he might tell you to do something, and then forget he'd told you. But he was a good man to work for. I didn't quite understand the barrage receiver. The one that you helped develop for the New Brunswick Station. Our idea there was that we were afraid that the Germans were trying to jam New Brunswick. So that they in trying to cut into transatlantic cables, they were trying to get ready to jam the New Brunswick Station, which would break off all communications between Washington and the Expeditionary Forces in France, which would really be a disaster. Because the Navy themselves had our transmitter NAA in Washington, but it was not nearly as strong a signal as the one from New Brunswick, the alternator. But the reason for setting it up in New Brunswick was to test the barrage receiver? And if it worked there, you'd install one in France? The barrage receiver was an idea to set up on the [unintelligible passage] France and Germany, to set up a jamming transmitter. The Japanese had [unintelligible passage]. This would jam the Germans so they couldn't copy New Brunswick. That was the idea. The radio barrage, that was one of Alexanderson's ideas. Were the same lines used both for transmitting and receiving? No. Entirely different. The receiving antenna was my invention, and the transmitting antenna, of course, was Alexanderson's — multiple-tuned antenna. But the point of it was that your antenna was able to receive the signals you wanted to, despite this powerful transmitter nearby? Yes. No problem. Alexanderson conceived the idea of jamming the Germans, then bouncing it out. He called it the barrage. You see, it was built and sent to France. And they got it installed about a week before the war was over. So it was never actually used. I know you traveled a couple of times in order to set up radio communications for President Wilson. Did you have anything to do with the installation in France of that barrage receiver? Did you go over and help install it? No. But I did install the one in New Brunswick for receiving from Europe. I also installed one on the West Coast to receive Honolulu. Also during World War I? And you also installed the one at Otter Cliffs? I'm of course curious about your installing the equipment on the "SS Washington." "George Washington." Yes, we did that. We thought that it would be nice to have the President, President Wilson, broadcast from the "George Washington" as we approached New York. Well, anyway, we went to Brest and anchored in Brest harbor, waiting for the President. He didn't show up for a long time. We had time to go up to visit Paris for a day. I remember the girls beside the [unintelligible passage], said, "I do it for the plaisir. How much you pay?" [Laughter] That's all the English they knew. Well, anyway, finally we get the President aboard and set sail. And, let's see, on the 4th of July we were at sea about 200 miles. Of course we had a radiophone on board for the President to use, and we thought it would be nice if he would give an address on the 4th of July, as we were about 200 miles from New York. So we asked the captain — Captain Colley — the captain of the ship where the President would probably want to stand. He selected a point on B Deck overlooking the troops on C Deck. They saluted the flag, and then the time came for the President to give his address. Nobody could talk to the President. He thought he'd saved the world for democracy. I ran into him one time and rushed around the deck for his schedule. I tried to tell him I was supposed to — as best I could running into him. He didn't even notice a crumb like me. He saved the world for democracy. He was absent-minded as all get out. So when the day came, the 4th of July, we were offshore 200 miles, nobody could tell him about it, and so it was a flop. It didn't work. We were down with the troops. He was 20 feet from the microphone, and it was a flop. But after he had made his speech, we had a copy of it. We read it over the thing, and, you know, that was heard as far away as Texas. It was just a flop because we couldn't talk to the President. [Chuckling] When the President got back, he thought that he had saved the world for democracy. Never any more war. When the Allies of the other countries didn't buy it, why, he lost his mind, really. This is why Mrs. Wilson had to practically run the country. She could talk to him, get some ideas. But she was the one that really was Acting President. Now you were an employee of General Electric throughout this time? Yes, I was working for the General Electric Company at the magnificent salary of $11.20 a week, which figured out to be about $580 a year. You know what those kids get today to start? $129,000. I never made that much money in my life, even when I was in charge of a research group of a hundred people. Did you get a raise when you went to work for Alexanderson? Yes, a small one. I went all the way from $11.20 to $15.00, I think. After the war did you return to Schenectady? Yes. That was right. So the RCA was one. And then I worked out of Schenectady and finally New York City and setting up receiver stations. There was the Beverage antenna, of course. I heard the story of your getting a pink slip from General Electric. I got a pink slip from the General Electric, which was discontinuing my salary. I went to Alexanderson and said, "What did I get fired for?" "Oh, you got fired? Hmmm. Oh, I forgot to tell you. I had you transferred to RCA." [Chuckling] Well, that was all right. I was worried there for a while. But you stayed — Initially you were still working for Alexanderson, and you were still in Schenectady? Yes, for the first month. Of course he was RCA, too, after RCA was formed. Tell me how it was that the Riverhead Station got established. Well, I found a road that ran from Riverhead to East Moriches, and I laid out the wire along that road. And then found out how the signal built up and the static went down by cutting the wire and putting a receiver in it. This has to do with the characteristics of the ground? Yes, sandy ground. Sandy. It wasn't supposed to go over saltwater, or even regular water. It worked over hot activity in sandy ground. I found out how the signals built up and the static went down. That's how I got an understanding of how the antenna worked that way, why it was unidirectional and why ground wires were unidirectional. The only ones that used ground wires — the Navy used some ground wires, too, for reception — and I discovered why. But RCA decided right away, I take it, that they wanted a receiving station out near the end of Long Island? Yes, definitely. They took over the American Marconi Company. The American Marconi Company had built some stations: the New Brunswick transmitter and the receiving station nearby. They were the same one as at Honolulu and on the West Coast. Where was their Long Island station? Their station was at Rocky Point; there was a transmitter. They actually had a time-spot transmitter installed there. When the war came it stopped. The Navy took over everything. There was nobody who handled international communications. It was all handled by the Navy because they didn't want any secrets being passed around. So that's how I came to set up the first receiving system at New Brunswick. So after RCA was set up, was it Alexanderson who asked you to find a good location for the receiving station on Long Island? How did that happen? Yes, yes. That's how it happened. He had just installed the Alexanderson alternators at Rocky Point. So I picked out the Riverhead as a receiving center, and I laid out the specifications for the antenna. They'd been using ground wires and putting them up on poles and then made them unidirectional by adjusting them on the northeast end, the resistance equal to the characteristic of the wire. That was why I was asked to do it. My light man Phil Carter, was a very good mathematician, and he figured out what the resistance should be. I determined it by adjusting it to listen to the static. And our figures agreed. They were very close. The actual discovery was that they were identical. Was that the first time the wires were on poles? I know in 1921 you received a patent for the Beverage antenna. Yes, that's right. I worked with the Secretary of War on problems. One of them, they were sending out their airplanes from Prescott, Maine, without knowing what the weather was in Greenland. Oftentimes it was bad weather, and they'd just set down on the ice. Now is this in World War II? Yes. They had to just set down on the ice cap there. There was a guy named Major Vaughn who had a dog sled. And it was too rough for them to take off, so they had to abandon the aircraft, and Major Vaughn with his dog sled rescued the crew. And I met him later at Presque Isle, Maine, when we shared the same room — bedroom. I got to know him quite well. Yes. He had the dog sled. First, he was down at the South Pole with — Admiral Byrd. Admiral Byrd wandered off by himself in solitude — I guess he wanted to be free to think — and Captain Tunstler at the center was summoned by radio, and they began to see that he was going off his rocker. He was losing his mind. So Major Warren, one man I met later, went out in a dog sled and brought him back to the center. That was interesting, that time. So during World War II, he had the job of rescuing any crews that had to land on the island. Land on the ice cap, yes. And, as I say, he and I shared the same room at Presque Isle. He tied this lead dog to my bunk. He said, "Don't touch him. He's a one-man dog. [Chuckling] You'll confuse the dog." I wanted to ask you about — In the 'twenties apparently earlier transatlantic radio messages were relayed from Long Island into New York City. Is that right? Well, I think at the time we — gee, I forget his name, but I'll think of it — the Radio Club of America had him go over to Scotland to see if he could receive my amateur signals. I happened to sail on the boat at the same time. And I designed a wave antenna for him to erect in Scotland. He did that. He heard about 20 amateur stations, including mine which was being operated by somebody else 2BML. Maybe I have the story wrong, but I thought that in the early days radio messages from Europe were received at Long Island, and then they were sent by telephone to New York City. Yes, that's right. We had a wire line to bring them in from Riverhead and send them into New York. We had a private telephone line because we had more than one. But did that change? I mean, so that the messages could go directly to New York rather than being relayed? Well, you'd have to have directed antennas to cut down the static. That's why we were out on Long Island; they were far enough away so you're going to have plenty of land to work it on. And then send the signals in over the wire lines. I see. So that was just how it was done. Sometime later we transferred it to Rocky Point. Or the control was in New York, the central. That was at 66 Broad Street here in New York. What was your position called when you were working for RCA in the first years? You worked at Riverhead full time? I built the receiving station at Riverhead, yes. You were working there until when? Well, we set up a laboratory at Riverhead for receivers and one at nearby Rocky Point which I ran. And one in New York working on printers and stuff like that. So I had three laboratories: one on receivers, one on transmitters and one on printers and all multiplex machines. I have from the book that it was in 1929 that you were named Chief Research Engineer at RCA. But before that, before 1929, you were in charge of the Riverhead Laboratory, is that right? Yes. Well, before that I reckon I was in charge of all three laboratories — a little earlier than that. I was in charge of — Later on, I had two groups in Princeton, the Princeton Laboratory reported to me. Can you tell me a little bit about how it was working for RCA in that first decade of RCA? I always found it a very interesting job. As I said, sometimes Alexanderson was very absent-minded, and he would forget what we were talking about, and he'd switch over to Swedish. [Chuckling] But he was a very good man to work for, and he was bubbling with ideas. He had a lot of patents besides the alternator. Was he your boss for a long time? Do you remember when that changed, when he was no longer the one you reported to? Well, I'm not sure. But Alexanderson retired, and then I guess I reported to Mr. Taylor who had come there from the British Marconi Company. He was a very fine gentleman. Did you feel that you always got all the support you — ? Oh, yes. Mr. Taylor was a wonderful man to work for, and I'll tell you a little funny story. One of my men, John Moore, was a labor union man. When the RCA had a party, he says, "Don't go! Don't go! They're going to try to put something over on us." Then one time he came in and said they wanted to form a labor union for the research group. Which I opposed very much because that didn't fit research people. You give the big salaries to the big inventors, not just how long they've been hanging around. So Moore wanted me to have Mr. Taylor set up a labor union for the research group. Of course I discussed it, and Mr. Taylor agreed with me that it was not appropriate for a research group. So one day Moore came to my office and said, "Did Mr. Taylor approve the labor union?" I said, "No, he did not." He said, "Mr. Taylor is a nincompoop!" [Chuckling] Well, Mr. Taylor was the nicest man I ever knew. And to have my boss — have Mr. Taylor — called a nincompoop (I don't know what that is) made me so mad, that for the first time I laid hands on anybody. I took him by the collar and the belt on his pants and shoved him out of my office. [Chuckling] I'd never laid a hand on anybody before. But to call the nicest man I ever knew a nincompoop, well, I just — [Chuckling] Oh, it passed over all right, but I just couldn't stand him when he called my boss a nincompoop. What about when RCA got into the broadcasting business? Did you have any — ? Did that affect your job at all? No. No, that was an entirely different thing. That was set up under a different organization — the National Broadcasting Company. The manufacturing company sold the receivers, and the National Broadcasting Company did the broadcasting. There's one interesting thing happened here. On Sunday afternoons Columbia Broadcasting Company broadcast the New York Philharmonic Symphony, and that attracted almost all the Sunday afternoon traffic. That made Mr. Sarnoff very upset. So what did he do? He sent somebody over to get Toscanini, the great director from over in Europe somewhere, to come to America and form the NBC Symphony. And he did. He gave him a free hand to get the best musicians money could buy, and the NBC Symphony was a better one than the New York Philharmonic. So he began to give Sunday afternoon music so he could thumb his nose at CBS. [Chuckling] Sarnoff was a very jealous man. He wanted RCA to be the best, and he didn't want anybody competing with it. When did you first meet David Sarnoff? Oh, quite early, because annually he put on a banquet for all the RCA people to get together so they could meet the top brass — Sarnoff and others. So I met him quite early in my career. Did you have any dealings with him in your work? Not too much directly, but I knew him quite well. Did he come out to Riverhead? Oh, yes. He came out to Riverhead plenty of times. Would you show him around when he came out? Oh, certainly. He had been a radio operator in his early days. I remember one time I had an interview — He even told me he was writing high speed — I suppose about 50 words a minute. Sarnoff went on the phone, and by golly, he copied that. And I could barely make out the call letters. He was a very expert operator in his day. I thought Sarnoff was a very fine person, and we were pretty good friends. And you also met Marconi? Yes. This came about that America, England, France and Germany, they all wanted to establish communication with South America and Brazil. What was the reason for that? Was that for news purposes or? For regular traffic? For regular traffic. Business groups were forced to use cables. We wanted to get some of that cable business. So I was the head of an expedition to Brazil to find out whether it would be possible, and the Marconi Company furnished all the equipment. I had one Marconi engineer as my assistant named Noel Ross, and we went down to Brazil. Just the two of us. And we set the stuff up at a fishing town about 75 miles east of Rio. What was the name of that place? Well, it doesn't matter. We set it up there, and we found out that the static was so heavy there that it wouldn't be possible to receive on all waves. So we moved up to Pernambuco up in the northeast corner of Brazil. And there we set the settings behind us. What kind of an antenna did you use? We just laid the wires on the ground there. We found that we could receive there. So I went to Germany and reported to the American, England, France and German people and recommended a relay at Pernambuco, and it was accepted. Some equipment was sent down there, but before it was installed, Marconi did it again. He didn't think the short waves were necessarily useless, and he started transmitting 100 meters, 60 meters, 40 meters, 30 meters. Thirty meters came through in the daylight, all in weather. Such a thing was never heard of. Sir Edward Appleton in England discovered why these high frequencies came through in the daylight. He discovered what we call the F layers, way up above the normal E waves that reflected the longer waves. He discovered the very high layers in transmitting short waves during daylight hours. Incidentally, I met Sir Edward Appleton in England. You know what he greeted me with? "Hell! I thought you were a statue!" [Chuckling] He knew about my work, but he thought that I'd be a hundred years old. Of course I was only 30, 35 when I was doing all this work. "Hell! I thought you were a statue." I thought that was a funny greeting. [Laughter] Yes, I knew Marconi. Several times I talked with him about various things. So how did that change your job when you were named Chief Research Engineer in 1929 — if at all? Well, I guess that was my job until I became Vice President of Research. That's what I ended up at retirement. I had two groups on Long Island: Riverhead, which was under Dr. Vincent, which was receivers and receiving antennas. Rocky Point, under Dr. Hansell, was transmitters and transmitting antennas. And Central Office under Callahan was printers and multiplex machines. All three of those groups were under my direction. And I had two groups at Princeton, too. One with Charlie Young. He made instant carbon copy papers by spraying a fine black dust over them and electrifying it so it would stick in certain places. In other words, you could make instant prints. Yes, Xerox. Yes, that's right. Then George Brown — Let's see, what was he working on? In charge of one of the groups there? Yes. Now he was working on television. He invented the so-called turnstile antenna. Which is used today for transmitting television. I'm curious about George Brown because you certainly know Terman's Radio Engineers? Except for Terman himself, George Brown has the most citations in the index to that book. And, you know, he's not a name that often comes up in the history of radio, but he must have made a lot of contributions. Well, let's see, George was working on a television transmitting antenna, and the turnstile antenna was his invention. Could I ask you to describe him as a person? He was a very fine person, and a great sense of humor. He'd keep you laughing all the time. Yeah, he was quite a nice guy. Was he someone you got to know well? Oh, yes. He worked for me; I was his boss. But I mean, you spent a lot of time with him? Spent a lot of time with him, yes. George was quite a guy. He was working on — Oh, hell! I ought to know. I directed it. Well, no, he was working on some way of preserving food. I've forgotten now just how it worked. It's a system that's still used today. [Chuckling] How did it happen that there were these groups in Princeton working under you? Why were they working in Princeton? Well, they were always working in Princeton, but they came under my direction because they were in my field of work. The others were working in all sorts of stuff. So you were in charge of receivers? I was in charge of receivers and receiving antennas, yes. And Charles Young was on instant printing with electrostatical — making blueprints. Those two groups reported to me. What about the Radio Manufacturing part of RCA? Did you have contact with them? No. I knew lots of people down there in Camden, but I had no direct contact with the manufacturing branch. Did you ever encounter Vladimir Zworykin? Oh, Zworykin I knew well. I loved him. He was a nice guy. And my wife got acquainted with Mrs. Zworykin, so we were really quite close friends. I'm very curious to hear more about Zworykin. How is it that you met? Well, he was working in RCA labs. Well, let's see.... What did he do special like? I think he invented color TV. I know in the 'thirties he was working on television. Yeah, he worked on television. And more or less his system is used today. I'm just surprised that you would have had much contact with him when, you know, he was working in a different area. Yeah, we knew him real well. So you got together with them socially? Yes. And my wife liked Mrs. Zworykin. They got along fine. Let's see, was I ever his boss? Zworykin might have been working under my direction for a short while. I think he was, yes. It was not much my direction. I was just following his work. [Chuckling] I didn't tell him what to do. How many people did you have working at these different laboratories in the 'twenties and 'thirties? I suppose about ten people at Riverhead, Rocky Point, and five people in New York, on printers and multiplex. That's just a guess. About four to five people. Then I had some people working for me down in Princeton. How large were those groups? Well, Dr. Young's group in Princeton — oh, he had a group of ten people maybe. And I had George Brown. He had a very small group. He was working on the preservation of food and Zworykin on television. So, I suppose, a half dozen people. Were you doing most of the hiring yourself for these research groups? No. Mostly somebody else did that. Then they turned them over to me or someone else. I'm curious about your direction of these groups. Did you give them particular tasks? No, not really. I guess, generally, you'd have to keep in touch with what they were doing and make certain suggestions. But I didn't direct them in detail. Except Riverhead and some Rocky Point details. Because you spent a lot of time at those two places? Yes. I spent most of the time at the Riverhead Receiving Station. And then some work with Dr. Hansell at Rocky Point. The color TV, they got stuck on that one. CBS had the spinning wheel. When they came up with electronic television, they were stumped on how to make it color. One way there was Charles Hansell. He was in charge of the Rocky Point laboratory of transmitters. He cooked up the idea of color TV. That was his greatest invention, I think. He got the idea, and then it was turned over to Camden to develop it. But he had the idea of how to do it. To this day I don't understand how it works. I did at the time, but I've forgotten. I think that's quite a tricky way, making electronic color. What was your main research interest in the 'twenties and 'thirties? Well, mostly I was a receiver man, I guess. Not so much interested in transmitters. That was my main interest. The circuit design of the receivers or the antennas? I know also, of course, of your work with Harold Peterson on the diversity reception system. Yes, we worked together on that. That was our joint invention. Can you tell me a little bit about Harold Peterson? He was a farm boy from Nebraska, and we worked very closely together. We shared the same office. He was a good engineer with good ideas, and some of our inventions were joint, like the diversity reception is joint. We cooked it up together. So I worked very closely with Peterson. Of the three groups, there was one group that I was closely associated with in detail, which was reception in Riverhead. Dr. Peterson and I had several joint patents. Now you said he came from Nebraska. He had a Ph.D.? No, it was like mine. Just an honorary doctorate. I'm an Honorary Doctorate of Engineering from the University of Maine. And Hansell and Peterson were both honorary doctors. He was a farm boy, too. So you felt at ease with him? How long did you work with him? Yeah, a lot of funny things happened when I was over in North Africa. It was about two or three days before D-Day, and what did I find? Well, to go back a little bit. The British had their communications system over the seas to France on the Isle of Wight, way up on the top of the cliffs, overlooking the saltwater. Microwaves they used. They worked fine because of the high conductivity of the sea. Well, I found out that the Americans were very foolishly trying to duplicate that over land. They were going about 17 miles inland, and it would poop out in about a mile over land — poor conductivity. Over saltwater it was fine. So, D-Day was due any minute. I had to do something fast. Did they call you in for that purpose? Yes. I had a couple of days to get something working for the landing of our troops. I recalled working with the Bell Labs one time down in the Florida jungle on how to communicate out of a jungle when your horizontal wires are low, just above the ground, and they shot this thing up into the sky. And so we got out on the sky wave. So, as I say, I had a day or two days somehow to get the work going for the invasion of the continent. The only thing I could think of was to duplicate the work we did down there in Florida, to use a long horizontal antenna and use that for communications from headquarters to the ships and the ships back to the headquarters. So I set it up, and on D-Day the head of the Air Force asked me to come out there to Uxbridge. As I say, it was from Uxbridge in the direction of France several miles overland. I didn't know how good it would work. I was very worried because if it didn't work I would feel guilty if hundreds of our boys in trying to land on the beach got killed. I'd feel I was guilty. So I was worried sick, and on D-Day I didn't know what the hell was going on. I really was very, very worried. Finally the general in charge of the Air Force came in and said, "Well, my boy, thanks to you there was no difficulty in the landing of our troops on the continent." Boy! The delight! Did that relieve me that morning when I found out I did something useful instead of something foolish. Oh, boy! That was a wonderful relief. I had set up communications via Presque Isle, Maine, Greenland, Iceland, into Prestwick, Scotland for flying out fighter planes. Well, when I got into this picture, they were using short waves to communicate between Presque Isle, Maine and Louis West 1 in Greenland. They were using short waves, which were notoriously unreliable due to sunspot effects. So they were sending planes out without having any knowledge of the weather in Greenland, and the airstrip was down in a valley, and you had to be right on the button to look and see where the airstrip was. If you couldn't find the airstrip in bad weather, you had to land the plane somewhere on the ice cap, and it was too rough to take off. So they had the men, and Major Vaughn, I mentioned, rescued the crews by the dog sled. But to this day, there's probably a dozen perfectly good fighter airplanes sitting up there on the ice cap. So it was very important that they have communications at Rigshore when the airplanes arrived in Greenland so they can find the airstrip. It was just a gouge in the ice cap, and way down in the bottom there, there was an airstrip. You had to be right over it to see it. So you were improving radio communications between the bases in Maine and Greenland? Yes. That was the problem, knowing what the weather was in Greenland. Often it was bad. What was your assignment in North Africa? Do you remember what you were working on there during World War II? I know you were to Morocco. You went to Casablanca and Rabat? Oh, yes. I was a member of a group of three: A.B. Clarke from Bell Labs, and Doc Adams of Bell Labs. We were working for the Secretary of War, I think. We were just going around watching and seeing what the problems were and trying to work out solutions. So it was the three of us working together instead of me alone. The three of you were from RCA? No, two from the Bell Labs. Doc Adams and — I named him, but I've forgotten. You were also in Italy, I know, during World War II. Yes. Same sort of thing, same three. Doc Adams, and Clarke was the third one. What you were doing is looking at radio communications and seeing how they operated? Yes, what the problems were and make suggestions for improvement. The same job as I had been doing alone. Now, I don't understand the corporate structure of RCA very well. RCA Communications was one branch of RCA? And their business was communications — international communications, the selling of radio services or messages? Messages. They had a international service with England and Sweden, using the Alexanderson 200- kilowatt. I developed the receiving system. Now these three facilities in New York, at Rocky Point and Riverhead and the city, were they part of RCA Communications? Yes. There was a transmitting station at Riverhead, and there was a receiving station, and then we had our two labs there. New York was the central office, where messages were tacked up and delivered. These two groups you had in Princeton, they were also working for RCA Communications, is that right? Well, they were officially on the Princeton payroll, but I was appointed as the director of those two groups. But the other two were on the RCA Communications payroll. Were your responsibilities always within RCA Communications, or did they become more general? Oh, no. I had these two groups in Princeton that were on entirely different things. I know that in 1941 you were named Vice President for Research and Development. You were also Director of Radio Research. Your responsibilities were these laboratories that we've mentioned in New York plus the couple of groups in Princeton? That's right. Out in Riverhead on receivers and propagation. And Rocky Point, transmitters. New York is the printing stuff. That was about it. Did your responsibilities stay the same until you retired in 1958? No, they increased. I had two groups in Princeton when I was retired. So I was director of five different groups. How much time did you spend at Princeton? About one full day a week. Did you take the train down? Yeah. The rest of the time I was either in Riverhead or the New York office. So I would guess that in that period from '41 to '58 much of your time was given to administration and management. How did you like that work? Fine. Here was an interesting thing. When color television came in — Television was then the spinning wheel which actually went back quite sometime. So the electronic television system was invented in Princeton. I think Zworykin had something to do with that. But when it comes to color television, electronic television, they were kind of stuck. Down in Princeton and my man Hansell, who was in charge of the Rocky Point lab, cooked up an electronic system. But he cooked it up, and it worked. It was so complicated I don't know if I ever understood how it works. Hansell was a very brilliant inventor. He had half as many inventions as Edison. He had about 200 inventions, and I think Edison had 400. He was just a farm boy, but he was brilliant. I was very proud of his contribution. Did someone like Hansell and Brown, when they were working under you, were they free to choose their own research projects? No, they were assigned it. In general. Just like with Hansell, he was on transmitting antennas. His television business was just his idea that he cooked up. In general they stayed in the field in which the lab was set. George Brown was out of the radio field for a while. He was selling machines for baking bread or something. It dealt with something entirely out of the radio field. I'm trying to get an idea of how research and development took place at RCA in those years. So you would give certain assignments to these different groups? That's true. Although in general, most of the time, they were working on something, and I was assigned as director. So they had a long-term project that they were working on. Yes. So I directed five groups. Riverhead, Rocky Point, New York, and two in Princeton. I visited all the sections about once a week. Yes. I'd talk over with them what they were doing and make any suggestions. I'm interested in RCA's management. Did you feel that you were given the resources you needed for your different groups? Who was your immediate supervisor? That was C.H. Taylor. He was from the American Marconi Company. He and I were very close friends. We went out to lunch together every time I was in New York. I'd go out to lunch with Mr. Taylor. You said that you often saw David Sarnoff when he would visit Riverhead or other places? Yes. He'd come out there. Did you get together with him socially? No, but I often saw him. He came out to Riverhead, and I was in New York. I met him quite often. Did he seem to be supportive of what you were trying to do? Oh, yes, yes. Very much so. Sarnoff was very good. Your view from the inside was that he did a good job of running RCA? I thought he did a wonderful job. I wanted also to ask about your work for IRE — that you were on the Board of Directors and you were President of IRE for a year. Yes. I was on the Board of Directors for several years. As the President I had to visit several chapters — all the way to California I went. Gave them a little pep talk and would tell them what IRE represented, what they ought to do and so on. So you took a trip across the country? So you traveled to these IRE sections and talked to them? Do you remember what the main concerns or issues were for IRE in 1937? No. It was mainly to have interesting papers, to get the people together and have regular meetings. I put on a sort of a pep talk at several of the sections. What was the value of IRE for you personally? Oh, it was wonderful. I read all of the IRE Proceedings from cover to cover. It was right down my field, most of it. Yes. Did you go to meetings yourself? Oh, I went to all the meetings. Later on when I was President, I had to attend all the meetings. And all the chapters, too. What contact, if any, did you have with the AIEE in those years? Nothing directly. I was never on that Board. But I was President of the IRE one year. Were you also on the Joint Technical Advisory Committee of AIEE and the National Association of Manufacturers in the 'fifties? Do you remember what the work was for that? No, not specifically. I wasn't too active on that group. Do you recall the merger of IRE and AIEE in '63? Were you active in IRE in '63, '64 when they merged? Were you in favor of the merger? In a way. And, on the other hand, I kind of liked them separate. Because I was mainly interested in the radio end rather than the mechanics, mechanical things. Yes, I rather favored the signal subject matter. It was more down my line. But it was all good. I liked both. And you said you were also a member of the Radio Club of America for many years? Was their publication useful to you? Yes, it was. Armstrong was very active in the Radio Club. They had some nice papers. Would you tell me how you first met Armstrong? Well, it was at a meeting soon after he'd come back from France. He was working in France on communications to the troops. That's how he invented the superheterodyne. Because they were using the Hazeltine systems of several tuned radio frequency amplifiers, and you had to do a lot of tuning, and sometimes it would oscillate. Whereas Armstrong's invention, the superheterodyne, you had one dial, and no bother about being subject to oscillation. So soon as Armstrong came out with the superheterodyne, all the tuned radio stuff dropped out of place, and multi-tuned things went down the drain. Because of the single dial, you don't bother with much oscillation. Great step forward. Did you meet Armstrong at a Radio Club meeting? Do you remember what it was? Yeah. Well, true. But I had a guy named Murrey G. Crosby was working on all kinds of modulations: amplitude, phase, frequency and any other ones you can cook up. Armstrong was interested in that. He used to come out to Riverhead quite often. And, you know, Crosby wrote the bible on modulation of all types and the mathematical theory to back them up. So I wondered what Armstrong was going to say. We rearranged that Armstrong would give his paper to the IRE on his work at the December 26th meeting, and Crosby would follow at the January meeting with his one on general modulation. I wondered if he had an arrangement with Sarnoff that Sarnoff would have the first bid on these inventions he made. Well, he had to feel around, you see. He spent a lot of time out at Riverhead, particularly following Crosby's work on all types of modulations. As I say, by rearrangement Armstrong gave his paper on frequency modulations at the December 1936 meeting, and Crosby followed in the January meeting. I wondered what Armstrong was going to say about Crosby's work although he was familiar with it and knew all about it. But I don't think he understood much of the mathematics that were in Crosby's paper. So I wondered what he was going to say. So he got up to discuss Crosby's paper. He says, "You don't make inventions by fancy mathematics. You make it by jackass's storage batteries around the laboratory." The President of the chapter, Hazeltine, said, "I disagree with the Major." He said, "Any few inventions I ever made, I made them on paper first and then developed them in the laboratory." So there was a little repartee there that was interesting. What was the personal relationship between Crosby and Armstrong? Did they work together? They really didn't work together, but Armstrong — Since Armstrong had an arrangement with Sarnoff that any invention he made, Sarnoff would be able to make the first bid. Armstrong was free to come to Riverhead and see what we were doing. And he did. He came out quite frequently. Did Crosby feel, maybe, that Armstrong had used some of his work without acknowledging? Oh, no, no. No problem there. It was simply that Armstrong never used the mathematics. He didn't understand Crosby's mathematics theory of modulation. So he said, "You don't make inventions by fancy mathematics but by jackass's storage batteries around the lab." Well, he's partly right and partly wrong. [Chuckling] But that was all right. It was a friendly thing. We were always good friends with Armstrong. Do you remember when it was that Armstrong demonstrated FM to RCA? So the answer to that one was, see, he wanted Sarnoff to license broadcasters to use the FM as well as AM. Sarnoff wondered whether the AM broadcasters would pay extra to have the right to use FM, which was a duplicate of the AM service only better quality perhaps. But the same background to it. So Sarnoff didn't push it, didn't push FM licenses, because he didn't think they'd go for it. That was the beginning of the end of friendship between Armstrong and Sarnoff. Armstrong was mad about that, that he didn't push FM on the broadcasters to get fees. So they had some disagreements after that. The long friendship was strained. But nobody knows why Armstrong committed suicide, but I think I know. He tried to push FM licensing on the broadcasters. Just as Sarnoff said they'd do, What the hell! It's just another service that we already have. He failed. I figure that maybe upset him so much. Because I know Marianne, his wife. I knew Armstrong real well. I told him, "Take the million dollars that RCA has offered you." He wouldn't do it. He wanted to go down in history as the Man of FM. I think then that he tried to go on his own, and he found out exactly what Sarnoff said. They were not interested. His wife, I guess, got kind of mad at him. At the time she was up in New Hampshire visiting her sister. And he decided to jump out the window, which was a tragic thing. A terrible thing. Why, do you suppose, he wouldn't accept the million dollar settlement with RCA? Because Sarnoff wouldn't guarantee that he was going to license the broadcasters. What Armstrong wanted to do is to get FM on air. A new service, much better quality. He wanted to be known as the Man of High Quality. Sarnoff couldn't see that. When he tried to go on his own, he found out that what Sarnoff said was true. Yes. Do you recall in those years, late 'thirties and 'forties, discussions within RCA about Sarnoff's policy? Were there people in RCA who thought maybe FM should be pushed? No, I don't think that anybody disagreed with Sarnoff. Sarnoff was very keen as to what would go and what wouldn't. And he was right, and Armstrong was wrong in that case. Well, Sarnoff was very, very, very upset when Armstrong jumped out the window. I went to the funeral. Sarnoff was right with me. We both felt very, very upset our good friend had gone. It wasn't Sarnoff's belief. He was right, and Armstrong was wrong. It was just what Sarnoff said. Why would the broadcasters pay anything extra for a service they already had, even though the quality was better? Armstrong didn't believe that. I think that's why he was so discouraged he jumped out the window. It was terribly tragic. You got to know Armstrong because he came out to Riverhead often? Yes, he came out often, and I visited his home quite often. We were very close friends. Socially, yes. And I knew his wife well. We went 'round and had dinner at their home. I see. You would go over for dinner often? Yes. And I had dinner many times in the very apartment on the 12th floor from which he jumped to his suicide. And you and your wife would go over there? Yes. We were all very close friends. It was something that we couldn't believe that it could happen. When you got together with Armstrong, was that an occasion for conversation, or did you play bridge, or did you have any particular activities? Not particularly. Armstrong was quite active and played tennis, but I never played tennis. No, the talk was social. And he had the run of Riverhead. So he came out often and talked over a lot besides. There were no secrets from him. He had the full run of Riverhead. Did you notice a change in personality in Armstrong over the many years that you knew him, from the early 'twenties until his death? Did he become more bitter and closed as he suffered these legal defeats? Well fighting de Forest on the oscillator. I think that did upset him. He often complained to me about the nine old men giving the wrong answers. I said, "You put up $50,000 to somebody to analyze the nine old men on technical matters." He said that technical matters is not something to leave up to lawyers, but to people who are technically wise. He was right, of course. Because the nine old men get the wrong answers very often on technical matters. They didn't just understand them. Did you know Lee de Forest? In those years? Oh, I knew Lee de Forest, too. Oh, at various meetings. I knew him quite well, too. What is your opinion of his work for radio? Well, he made one great invention. He invented the grid for the Fleming tube. All the others, he was attempting to develop a radio system. He had the de Forest Radio Company. De Forest tube. He was trying to compete with RCA, but he didn't do too good. But that does remind me of a question. All your years with RCA Communications, what were the main competitors to RCA? There was the Marconi Company, but RCA was the American end of the Marconi Services. So I'd say that the only competitors that RCA Communications had actually was the cables. How was business for RCA Communications in the 'twenties? Oh, they were doing quite well. They gradually got more and more of the international business started, and they were doing very well. How much of your time during 1942 to 1945 was your regular work for RCA, and how much was given to this consulting for the war effort. I would say it was 20 percent consulting and 80 percent regular. But I was quite active with the Secretary of War to solve some of his problems. You were a member of the Polaris Command Communications Committee for Submarines from 1959 to 1965. What do you recall of that? Well, we tried all sorts of things. One was a trailer loop in a wooden box. Another one was just a wire out of there. Another one was something on the front deck. The communications of the submarines was via the station in Cutler, Maine. They had a 2,000- kilowatt arc station, I think it was. They were responsible for keeping communication going with the submarines on their way to Europe. I know that's a very difficult thing to communicate with submerged submarines. Was any progress made — notable progress made — in the years you worked on that committee? Yes, I think so. They went from towing a clumsy rig with an antenna in it to modern antennas flush on the submarine so that they didn't slow up the speed. You were a consultant advisor on that? Yes. One of my engineers invented the slot antenna, which was set right in. Smooth, no breaks. Did he do that specifically for the submarine? He did that specifically for submarines. There was a subcontract written for — ? Yeah, Well, somehow or another RCA might have been working on communication for submarines. Were you involved in defense contracts or any other sort of work that RCA might have been doing? Not in writing them up, but in carrying them out, yes. I was involved very much so. So it was often that some of the engineers working for you would be on a particular defense contract? Yes. I made a much better receiving system in Greenland. I used one of the Beverage antennas, for example, one of our antennas, knowing that they could copy it. I was very lucky to catch a lady like that. She has a car. She does all the errands. She used to run a boarding-house. She can do minor carpentry and all kinds of things, you know, like they do in a boarding-house. Now after you retired in 1958, did you continue to work as a consultant for RCA? No, I don't think so. I was trying to think whether the consulting carried over for the Chief Signal Officer. I might have done some for the Chief Signal Officer, but not so much for RCA. But you continued to live here. Did you after your retirement visit the laboratories at Riverhead or Rocky Point? Yes, yes. Well, most of the time I was working in the New York office, I lived nearby in an apartment. So I commuted on the train. From here there are people who commute to New York, but that's rather a long haul. So I generally concentrated on my laboratories at Riverhead and Rocky Point and made a once-a-week trip to New York. Not every day. I wanted also to ask you about Alan Hazeltine. You mentioned that you also came up with neutralization independently of him. Did you have contact with him through IRE? Oh, I knew him. Sure. Did you have any other dealings with Hazeltine? Well, just as good friends, but we never talked much about our inventions. You got together with him socially? Yes. In the IRE quite often we were together. But Rice and Kellogg in the General Electric Company invented the grid neutralization, and I thought that receptors were used for plate neutralizations. I hadn't known of it, but I thought that was a new invention over Rice and Kellogg. So they got the plate neutralization system; it came out and was widely used. I once showed it in my notebook to Hazeltine, and he said, "Well, I did, and you didn't." [Chuckling] So we were always good friends. Did you know Peter Goldmark? What were your dealings with him? Well, mostly at IRE — meetings and so on. What do you recall of Peter Goldmark? Well, Peter was quite a pushy guy. He claimed that he was the greatest inventor of all time. Sort of a little difficult to work with him. But he was all right. We were good friends. You didn't have any dealings within RCA with him? Very few. So as I say, I knew Peter, we were friends, but as business partners we were not close together at all. I see. I learned from Leon's book that Albert Einstein once or twice visited the laboratory at Riverhead. Yes! Einstein used to have relatives up in a nearby town, and one day he came over to the RCA. I had the honor of meeting him and showing him around. What was his purpose in coming there? He was just interested in technology, and he was interested to see what we were doing. So he just dropped over one day just for a little visit. I met him, and it was my job to show him around. The first thing was a screen door had been repaired, and the screens were flat, like that. No space between them at all. Between them there were three or four big flat dead beetles and some little ones. I never even noticed them or thought about them. But he instantly noticed them: "Now how do you suppose those beetles got in there? They couldn't have gotten in there when they were big, now could they?" "No." "Must have gotten in there small. What did they eat?" What? I don't know. [Chuckling] So he asked those particular questions that I'd never even thought of. Do you remember roughly what year that was? The 'twenties or 'thirties? Somewhere in there. I met Einstein two or three times. But this was the first time he came over to the lab. My job to show him around. I found him to be a delightful person. Did he come over to the lab again another time? Yes. He came over more. To look at your operation there? Yes, he was interested. I encouraged him to come over anytime. We were fairly good friends. We had something in common: he smoked a pipe; I smoked a pipe. He used to saw away on his violin, and I used to play five different instruments in bands and orchestras. We had a music interest. Something I read said that you also knew Robert Watson-Watt. Oh, yes, I knew Watt. Well, I was over in England the first time I met him. I don't remember just exactly how I met him the first time. There was something we really had a common interest in. I can't quite remember what it was now. Something about radio propagation. I wonder if you could tell me what have been the most rewarding activities for you since retirement. Have you done much traveling since retirement? Yes, I've attended the annual meetings of Union Radio Scientifique Internationale. They have meetings in various countries once a year, and I've been to several of those meetings with my wife. Went to meetings in Japan and Munich and all over the place. My wife enjoyed traveling, so she always went with me. The last one was in Rome. And Pope Pius XI invited us to come out to the Summer Palace, Castle Gondolfo. He made a speech in French, and then we all met him afterwards. My wife, before I married her, was the Secretary of the Lithuanian Alliance of America, so she was quite good at meeting the big shots. So she met Pope Pius XI and talked to him, and made out that I was a big shot. Anyway, the only thing that Pope Pius said was, "Good engineer." [Chuckling] She'd made it out that I was a big shot. [Chuckling] Good thing he didn't know anything about engineering. If he'd asked me, I'd have been sunk. [Laughter] Well, anyway, she was very good that way. We went to Tokyo. We arrived in Tokyo, Japan in a hurricane, and everybody was praying because we were going sideways faster than forward. I knew exactly what the pilot would have to do. He'd have to come around and head into the wind, and that would make his ground velocity very slow. He could drop it down a bit later and land in the cross wind instead of on the long runway, a short runway — across the runways. I know that's what he'd have to do, and that's exactly what he did do. When he got almost zero ground speed, he just dropped down. But all the passengers thought this was the end; they were praying. Well, I had a lot of faith in the guy who was flying the plane, that he knew what to do. When you were in Japan, did you meet Yagi, the inventor? Well, I want to thank you very much. This page was last edited on 30 July 2018, at 19:44.